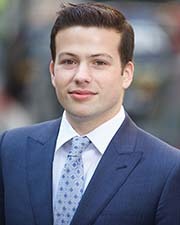 New York, NY Commercial real estate broker Evan Fiddle of CBRE has been named the 2017 Most Promising Commercial Salesperson of the Year by the Real Estate Board of New York (REBNY) and its Commercial Brokerage Board of Directors. The professional was honored at the Spring Members’ Luncheon, which featured a panel discussion on the tax overhaul, foreign investment, interest rates, infrastructure, and development opportunities moderated by Bruce Mosler, chairman of global brokerage at Cushman & Wakefield. The panelists included: Ric Clark, senior managing partner and chairman at Brookfield Property Group and Brookfield Property Partners; Laurie Golub, COO for Square Mile Capital Management; Isaac Zion, co-chief investment officer at SL Green Realty Corp.; and Jeffrey Levine, chairman of Douglaston Development. 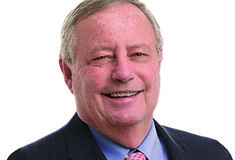 As the winner of this coveted title, Fiddle will be granted a one-year term on REBNY’s Commercial Brokerage board of directors and a one-year seat on REBNY’s board of governors. He will also become a lifetime member of REBNY’s Circle of Winners. The runners up for the 2017 Most Promising Commercial Salesperson of the Year Award were: Chad Sinsheimer, senior director at Eastern Consolidated; Christine Colley, director at Cushman & Wakefield; and Conor Sullivan, associate director at Colliers International. The Most Promising Commercial Salesperson of the Year Award recognizes current and potential achievement as well as high moral character and ethical, professional behavior. Candidates for the award must be current REBNY members with less than five years of industry experience, display leadership and team work qualities, and have made significant contributions to their firm’s success. Fiddle is a vice president in the Midtown Manhattan office of CBRE. 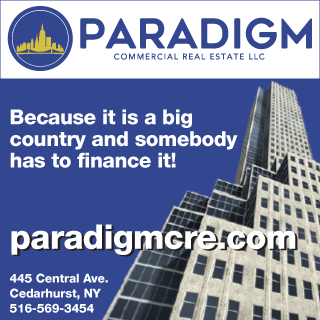 Since joining CBRE after graduating from Amherst College, Fiddle has represented a diverse array of New York City tenants and owners including Fortune 500 companies and publicly traded clients Boston Properties, Forest City Ratner Companies, Alcoa/Arconic, and MDC Partners. Fiddle—along with his partner, Michael Movshovich—also represents private equity and hedge fund clients including Tailwind Capital, Cantillon Capital Management, Kepos Capital, Chalkstream Capital Group, and Slate Path Capital, among others. As an active writer who regularly posts on his personal website and on LinkedIn, Fiddle’s insight and tips on “10 Ways to Be a Successful Young Real Estate Broker” were featured in Bisnow this past year. The sponsors of the Members’ Luncheon, during which the Most Promising Commercial Salesperson Award was announced, were: Berkshire Hathaway HomeServices New York Properties, Cushman & Wakefield, Eastern Consolidated, Glenwood, Jack Resnick & Sons, Inc., and Newmark Knight Frank.